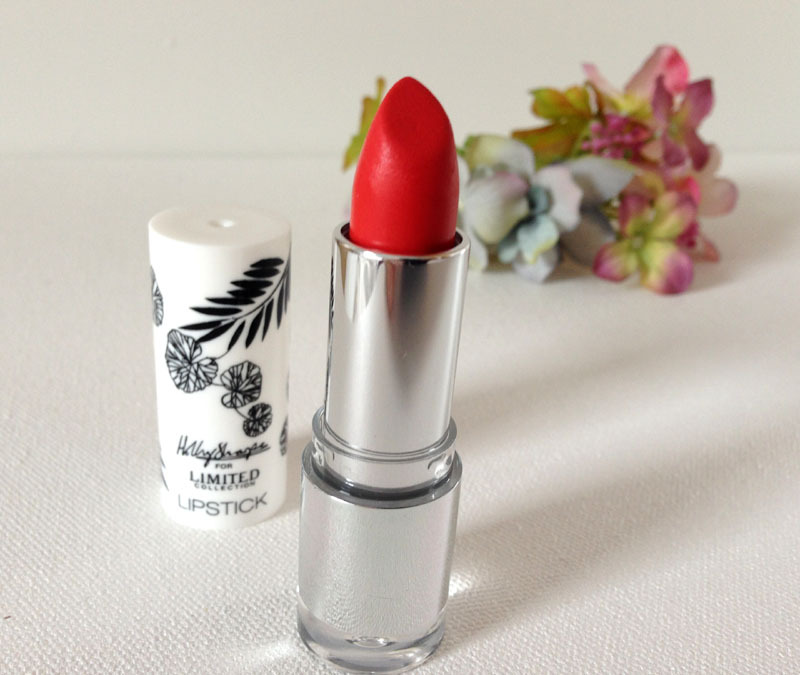 I’ve always had a thing for vibrant lipstick, and my makeup collection always has to have a matte orange/red shade in it – I think it’s a good colour for fair skinned blondes. 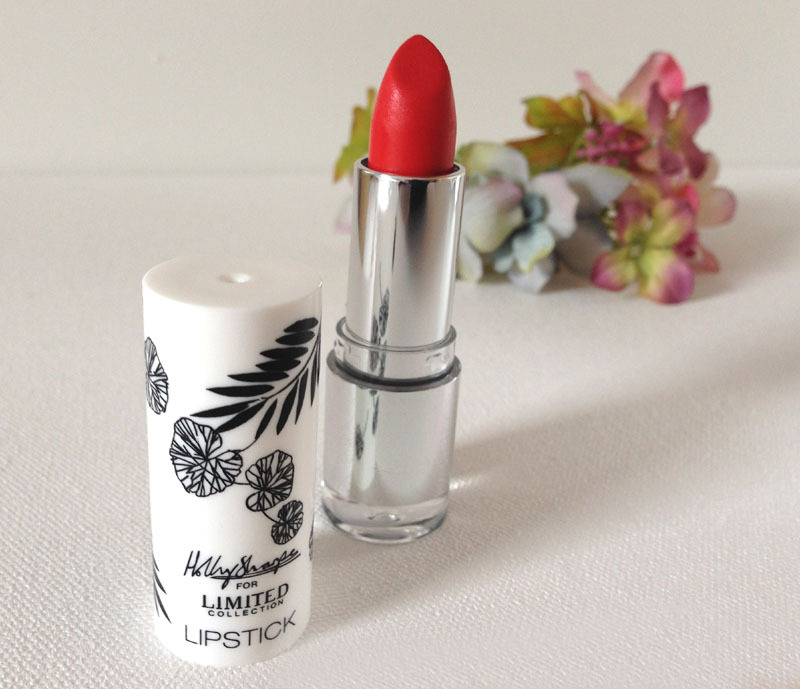 This is a new one I picked up from M&S: Limited Collection Matte Lipstick in Tomato. 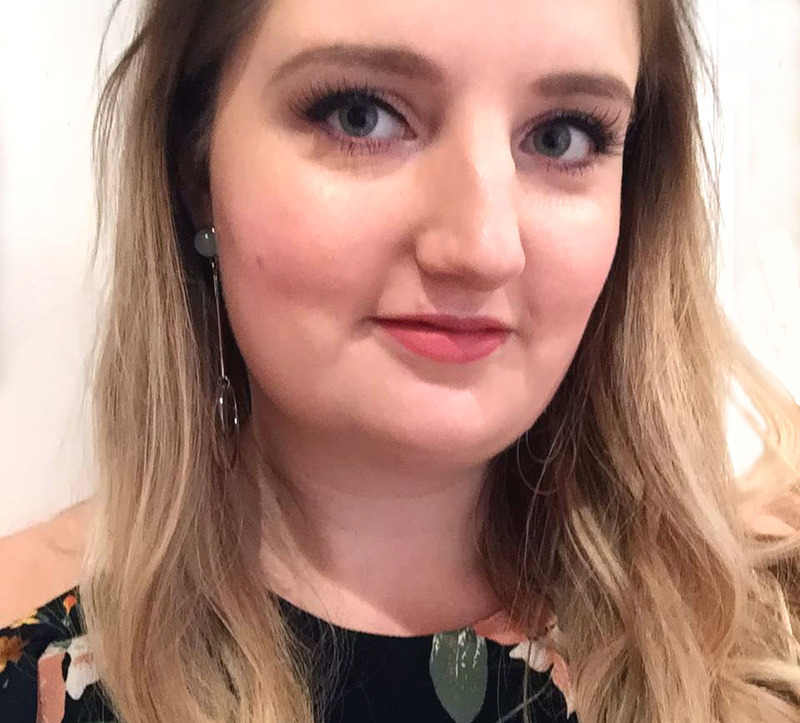 I’ve never actually tried M&S makeup before, despite being aware of their cruelty-free and ethical credentials. I think this is purely due to the fact that I never go into the stores so I’ve never come across their cosmetics collection in person, However I was actually pleasantly surprised with their makeup, from their classic-looking Autograph range, to the younger and fresher Limited Collection, which this lipstick is part of. You can tell from the white graphic packaging (which in this case features the illustrations of Holly Sharpe) that Limited Collection is their most youthful makeup range, and I think the product and colour options also reflect that. This lipstick was a bargain at just £6 and it’s easily as good as the similar shades from the more expensive brands I’ve tried, such as MAC. The colour really is very vibrant and pigmented, which I’d expect from a matte lipstick. It also had quite decent staying power (although there’s always a bit of an issue with bright lipstick). Overall, this tomato lipstick is a winner! And as I like this product so much I’ll definitely consider trying other M&S makeup in future too. i’ve never tried M&S for makeup but this red lippy looks fantastic. I love a bold red lip so will definitely look to try this ! It’s worth a trial Rachel – only £6 and I love it!